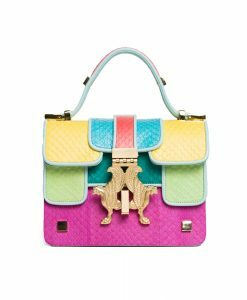 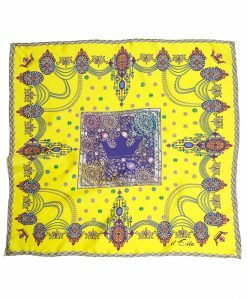 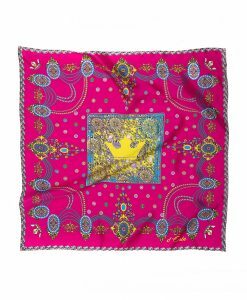 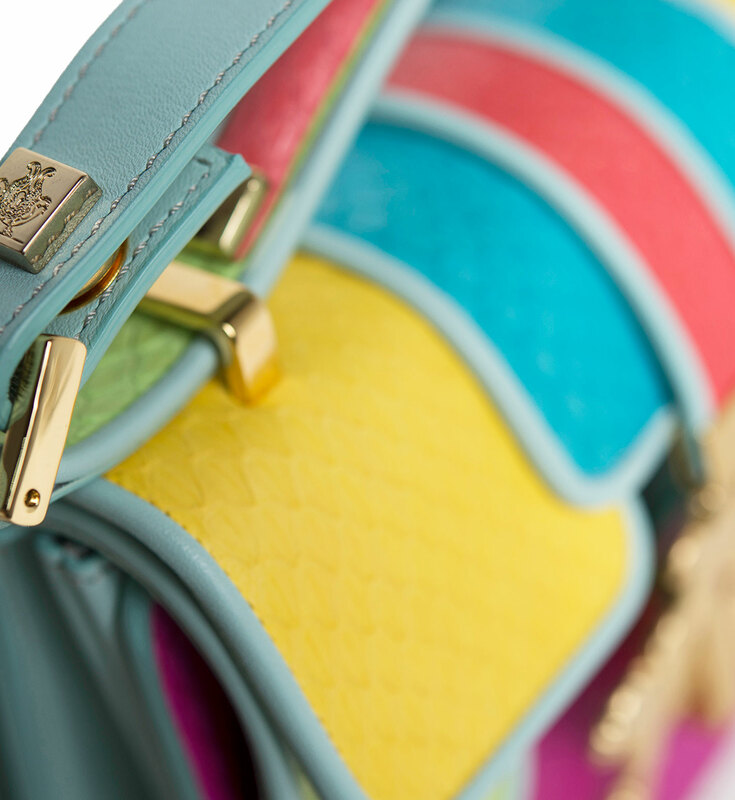 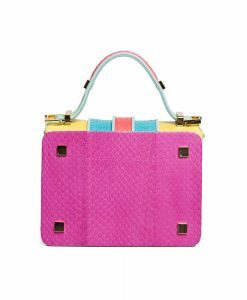 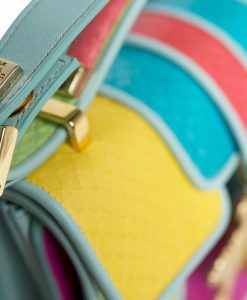 An iconic Giancarlo Petriglia’s mini P-bag comes in bold fuchsia, yellow, emerald green and acqua blue colors. 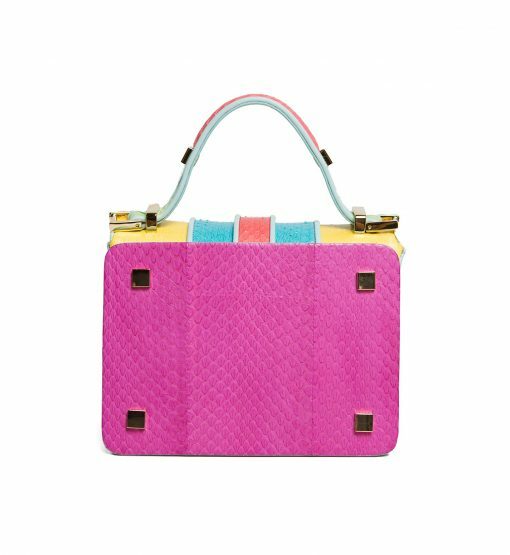 This structured bag is impeccably crafted in Italy from elaphe snake leather and is thoughtfully proportioned to fit your essentials like cell phone, credit cards, make up and keys. 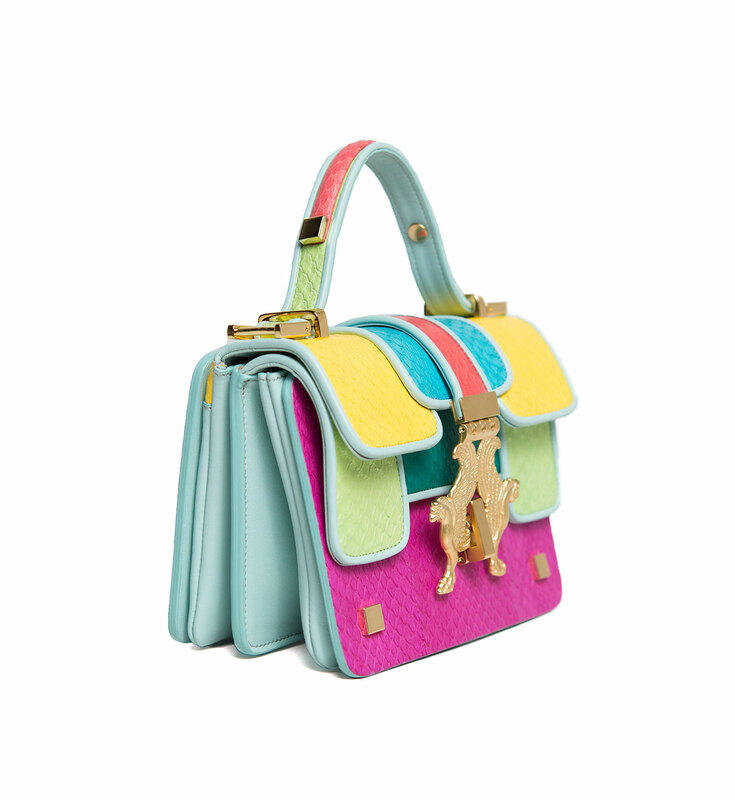 Light blue calf leather interior is divided into two compartments. 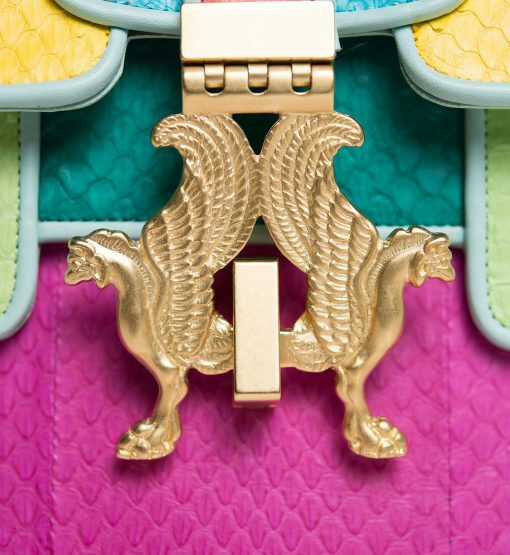 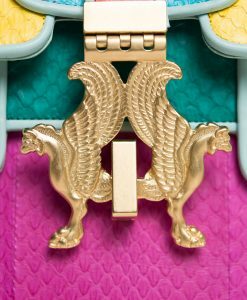 A sophisticated gold griffins lock closure and gold hardware make it instantly recognizable. 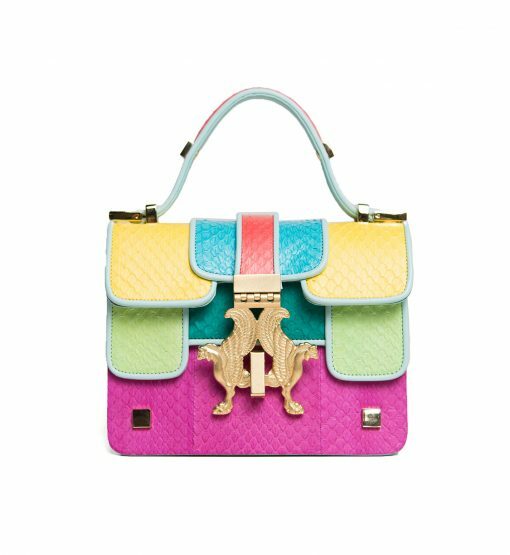 You can wear this amazing bag by top handle or over the shoulder using a detachable strap which is made of leather and Giancarlo Petriglia brand’s chain.